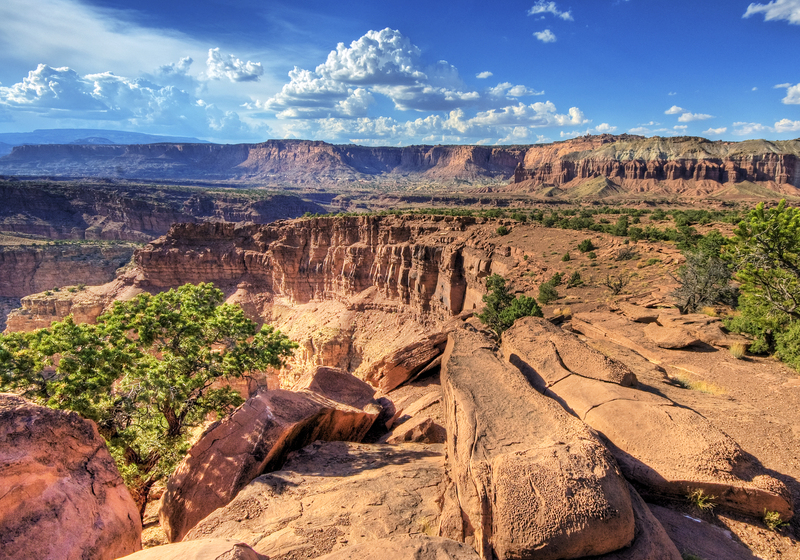 Kanab, UT – Late last Friday, the National Park Service announced its controversial plan to allow continued livestock grazing and expanded use of livestock trailing in Capitol Reef National Park in Utah. Despite evidence that ongoing livestock use harms the fragile soils and rare and threatened cacti species found in the Park – including the Wright fishhook cactus, Winkler cactus, and Last Chance townsendia – the agency approved a resource-intensive plan to facilitate livestock use of the public lands within the Sandy 3 allotment. Private interests recently purchased and retired grazing permits on the Hartnet allotment within Capitol Reef for the purposes of permanently ending the impacts of cattle on the Park’s landscape and vegetation. Despite agency cooperation in that deal, the new decision creates nearly 24 miles of new livestock trails that would allow up to 200 livestock to cross the closed allotment each year. These livestock trails cross the habitat of the federally listed species in the planning area. Livestock have altered the habitat of all three rare plants in the past through direct trampling and degrading vegetation and soil condition in the project area. So is the next step a lawsuit? It appears thats the only way to make a dent in this stupidity! One answer my friends! Ho to the polls and vote ALL DEMOCRATS in!, That’s it that’s all! Absolutely, Gail – goes without saying. But in the meantime – a lawsuit isnt such a bad idea – those have made a difference too. Hopefully we all will make a difference on Nov. 6th. Our wild horses and burros did not fare well under 8 years of Obama, either. Neither party has a clean record, so we have to hold ALL our elected representatives to account, and vote them out if they don’t represent the best interests of the majority of our 300+ million citizens. So you blame Trump? I blame all politicians-all sides and us humans the beef eaters. Quit feasting on the American obese diet. Get a clue Gail, its not all Trump! If thats the case then I blame obama and all Democrats. Cattle did not evolve and do not belong in N. American desert ecosystems. Why we keep paying for this is a question we all must ask, as Jonathan does. Our National Parks and public lands are what set our country apart on an ever-more-crowded planet. Imagine for a moment if someone with significant bank loans wanted to drop a herd of 200 Kangaroos into Capitol Reef to literally eat at the public trough and (maybe) create a profit for the private interests that brought them. Unthinkable, right? 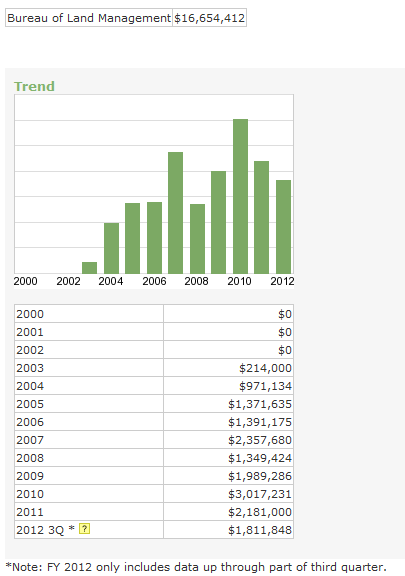 Why the blinders about cattle? Even their dung leaves introduced organisms and chemicals which persist for years in the environment, and in fairness it is not a habitat they would choose for themselves if allowed better options. All true – its all about the money & the politicians & the Farm & Cattlemen’s lobbying groups & the lies being told about the Wild Horses & Burros. Read & skimmed most of last years BLM “board meeting” – so stacked against our wild ones – management? No, they have no intent to manage them – just push them out of the way. Yes^^^… and this is the reason our precious wild herds of mustangs are being thrown to the treacherous reptiles in the slaughter pipeline. This is like the worst psycho horror movie you’ve ever seen. Where is SANITY in all of this? Please step up if you believe that human integrity is not dead. This is a bunch of Damn bull. Stand up now. Oh, Kanab, Utah, where Best Friends Animal Sanctuary is located. They take in so many innocent animals & horses also! This really makes me feel very angry!! Dann government BLM, TRUMP & other freaks who don’t give a d amn! Many ughs!! Sorry I don’t have a link but received this email news today, forwarded but originating from Saving America’s Mustangs in CA. It contains very graphic photos of horses shot to he** and dragged away to a pile off a dirt road. 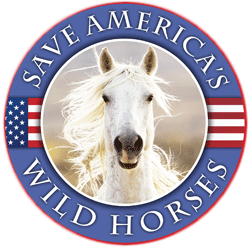 ELKO COUNTY, Nevada – September 12, 2018 – Wild horses were shot in August, 2018 and many more remain at risk on Boone Springs in a remote and rugged part of Elko County, Nevada due to actions by the Bureau of Land Management (BLM), an agency within the United States Department of the Interior. Madeleine Pickens, owner of Mustang Monument and nonprofit Saving America’s Mustangs, owns the private land at Boone Springs which lies unfenced and intermingled within nearly 600,000 acres of public lands managed by Elko BLM through Jill Silvey, District Manager. Ms. Pickens tried to develop the water at Boone Springs in 2016 to provide a reliable source of water for livestock, wildlife and wild horses. However, she was unable to develop the springs because Elko BLM refused to maintain a government road so she could access the springs with the necessary equipment. Fast forward today – there is now a crisis at Boone Springs and the adjacent public lands due to a lack of a reliable source of water for at least wild horses. When Pickens first learned of the crisis at Boone Springs she was willing to allow the natural environment do its work – however tragic and harsh the natural environment can be in such a remote and rugged part of Nevada. However, when BLM began meddling in its crisis management and shooting horses, that crossed the line, in view of Pickens. At that time, Pickens reached out to BLM, even offering up to BLM the use of her private land at Boone Springs so BLM could install temporary water troughs and haul water to Boone Springs. Pickens even offered to haul BLM’s temporary water trough to Boone Springs, but Jill Silvey said no. All of this, however, seems to be a little too late for the wild horses near Boone Springs – demonstrating yet another example of the continued “crisis” management by BLM of wild horses in the West, as opposed to implementing a sustainable suite of actions to move the yardsticks up the line. It seems that BLM attempts to excuse its “crisis” management by citing to a lack of money from Congress, and while that may be a part of the problem, it remains a lack of leadership at BLM. Pickens has been an advocate in the community and even nationwide, going out of her way to help animals. During Hurricane Katrina, she personally rescued 800 dogs and cats successfully. This is a continuation of activities that have plagued Mustang Monument since she bought the ranch in 2010 to try and create a place where the American people could come and see wild horses in their natural setting. But the powers that be in Congress and the BLM, the federal agency that manages the wild horses, have never been willing to put their whole-hearted support behind Pickens’ project.